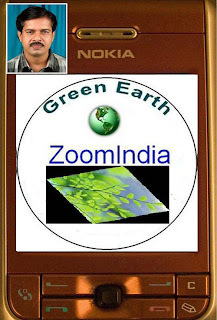 ZoomIndia-India’s first Phone magazine-now comes with its second issue, which is solely dedicated to the Green Earth-a real and inevitable plane for human life. ZoomIndia’s first issue was released in August 2007 and the same was dedicated to India@60. It was a grand success and a lot of people around the world have downloaded it free of cost and read it in their mobile phones. Many articles on environmentalism and interviews with famous environmental activists are included in this issue. More than that notes on Current Affairs, Mobile Technology, Gadgets and Books and many pictures are also given proper place in this issue. This edition of Phone magazine is prepared as a Jar file with a size of 400 KB. I think this edition of ZoomIndia will help the readers to know more about the global environmental problems in its depth and clarity. Through the same website I am distributing the mobile edition of Mahatma Gandhi’s Autobiography (500KB Jar file) free of cost.